With the amount of plastic produced worldwide each year expected to rise to 400 million tonnes by 2020, councillors are to review work underway to tackle use of unnecessary single use plastics. Durham County Council’s cabinet will hear about the significant work the council and its partners have already done to reduce waste from single use plastics across a wide variety of its services when it meets next Wednesday, February 6. This work includes “quick wins” such as replacing straws, stirrers and takeaway cups in the council canteens with compostable alternatives, phasing out plastic overshoes in its leisure centres, and using paper rather than plastic confetti during the Gala theatre’s pantomime. New “plastic road” technology has also been tried in the county, which sees normally unrecycled materials added to the mix during resurfacing works. Councillors will also be asked to consider the adoption of a County Durham pledge to further reduce waste which would be adopted by a wide variety of partner organisations from across the public, private and community sector. 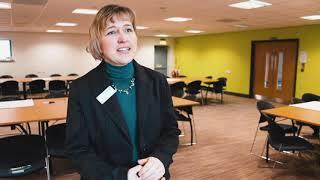 Support has already been shown from many organisations, including Northumbrian Water who have been actively promoting their water Refill scheme, and Durham University which is trialling reusable food containers in the Van Mildert Hall. The council’s proposed pledge is to significantly reduce and work towards ultimately removing the use of unnecessary single use plastics from its operations, and will encourage and enable partners, schools, businesses, and the residents of County Durham to play their part. Cllr Brian Stephens, Durham County Council’s cabinet member for neighbourhoods and local partnerships, said: “Whilst plastic products are an important part of everyday life, there is a growing realisation of the inherent wastefulness of those items that are designed to be used only once and then thrown away. “Programmes such as BBC’s Blue Planet have brought home to our living rooms the shameful ecological impacts associated with the incorrect disposal of many of these single use plastics and we all have a role in reducing it. 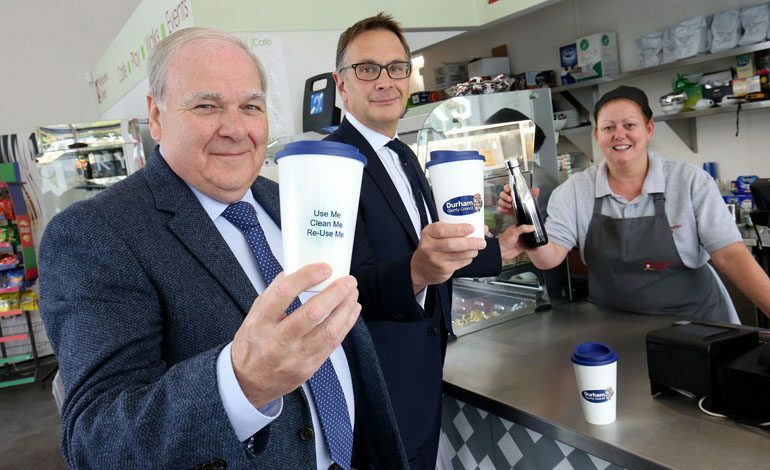 • Pictured above: Cllr Brian Stephens and Northumbrian Water’s finance director Chris Johns fill up their water bottles and reusable cups at Wharton Park café.